In arrivo a Dicembre 2019 Gli oggetti sono preordinabili a partire da oggi seguendo il link che trovate qui sotto che vi porterà sul nostro sito ufficiale. 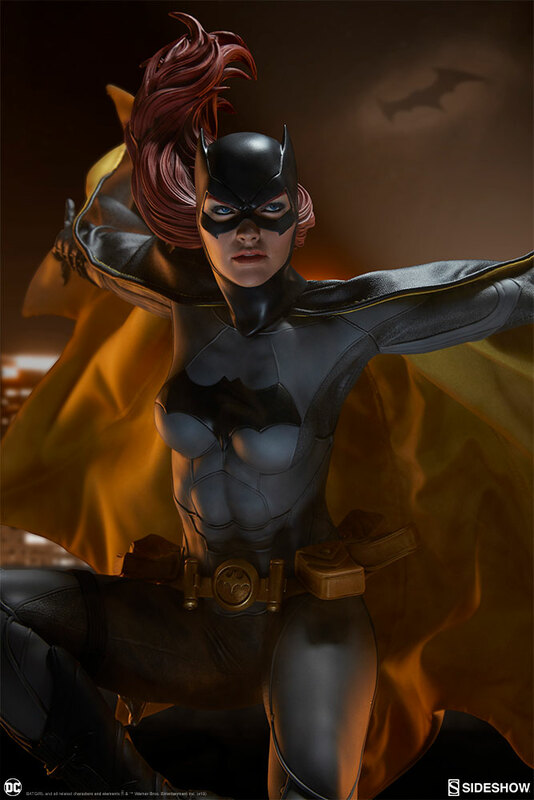 Sideshow is proud to present the Grace Premium Format™ Figure from Michael Turner’s Soulfire comic series. 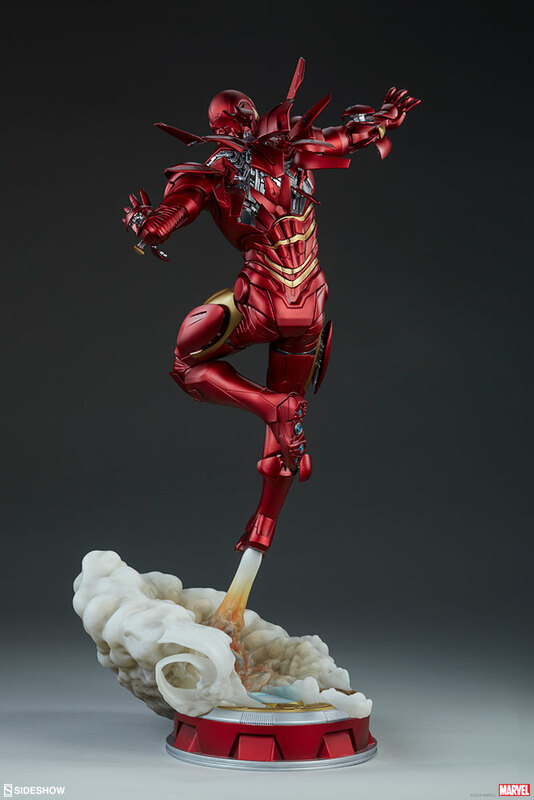 The Grace Premium Format™ Figure measures 71 cm tall with a 56 cm wingspan, as the powerful Rahtumi soars over a silver and gold base engraved with swirled markings. 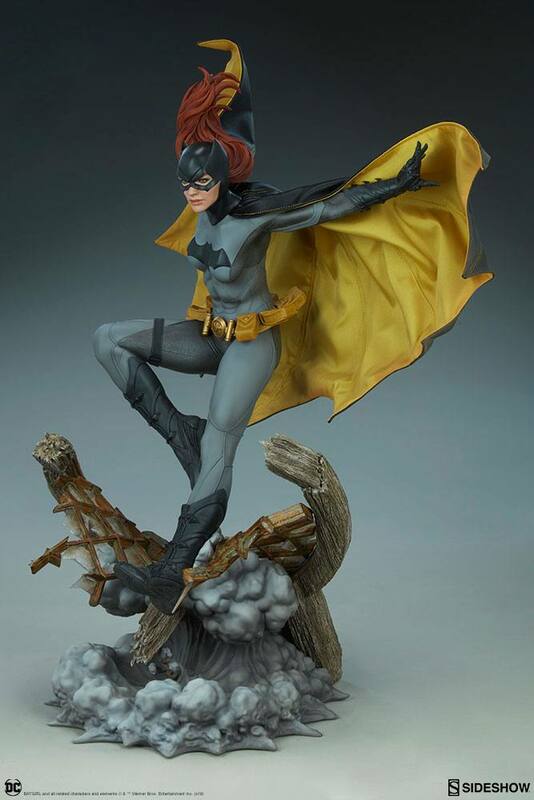 This dazzling and dynamic resin statue features a fully sculpted costume with a flowing yellow ombré skirt and a purple top detailed with gold accents. Grace is protected in intricately detailed silver armor including vambraces, greaves, and tassets all accented with gold and purple filigree. The Grace Premium Format™ Figure has powerful dragonfly wings growing from her back and she is tattooed with a blue dragonfly indicating her magical heritage. Grace’s portrait also features dragon wing tattoos, a jeweled silver headpiece, and vibrant flowing hair in a gorgeous gradient of her signature colors- blue, purple, pink, orange, and yellow. 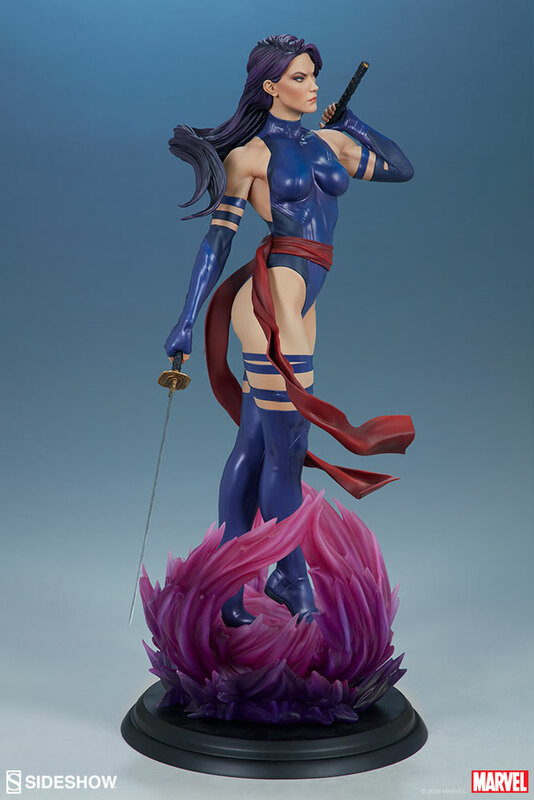 Awaken a new age of magic in your collection and add the Grace Premium Format™ Figure to your collection today! Sideshow is proud to present the Aquaman Premium Format™ Figure, inspired by James Wan’s epic cinematic vision for Aquaman. The Aquaman Premium Format™ Figure measures 64 cm tall, painstakingly sculpted based on Jason Momoa’s likeness from the film with golden eyes and flowing hair to represent his heroic undersea presence. 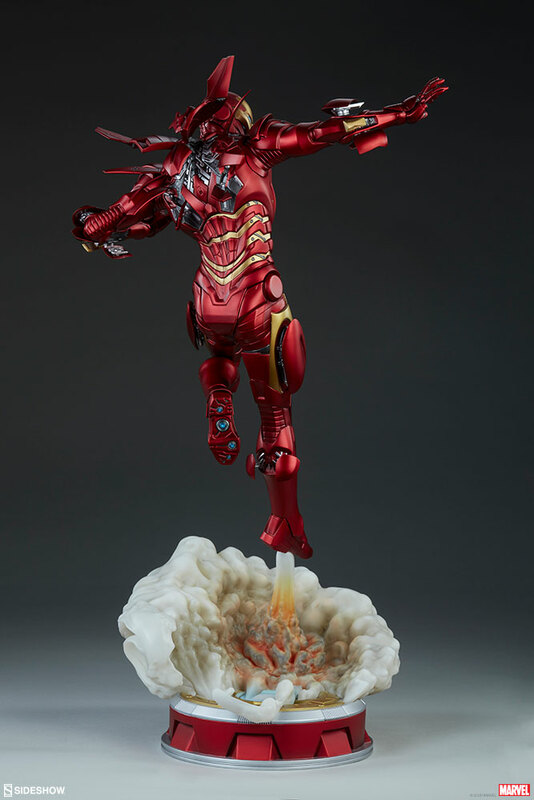 The deep-sea hero stands atop an Atlantean architecture base with fluttering kelp, coral, and barnacle details, along with carved stony tentacles and the Aquaman insignia in the center of the display. 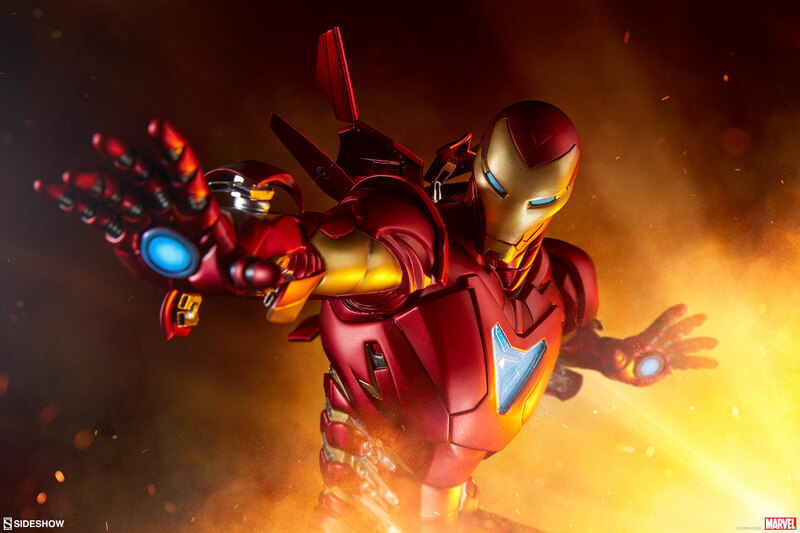 The Aquaman Premium Format™ Figure features an orange metallic suit sculpted with incredibly detailed scale armor, paired with sculpted green metallic gloves and leg armor. In his right hand, Aquaman clutches a shining golden trident intricately inscribed with Atlantean text, and at his hips sculpted golden tassets and a belt add to Arthur Curry’s battle-readiness. 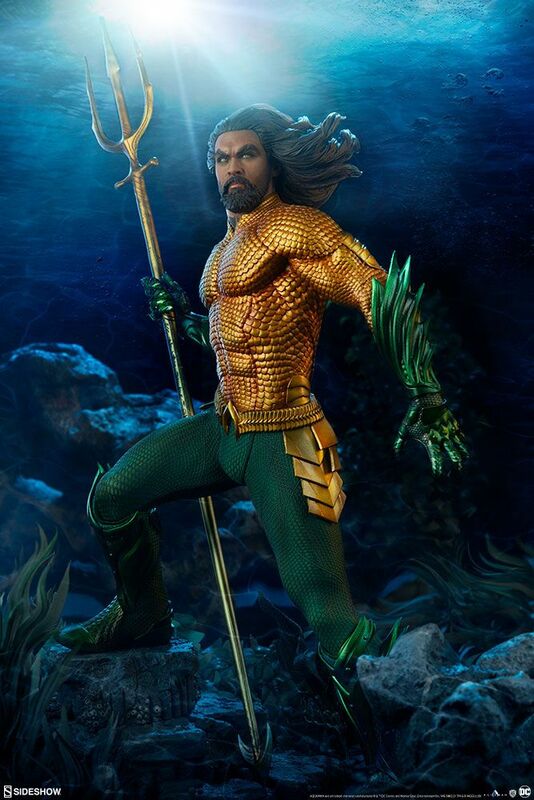 The figure also wears textured green fabric pants and boot elements carefully tailored to complete the costume inspired by Aquaman’s most iconic, colorful look. 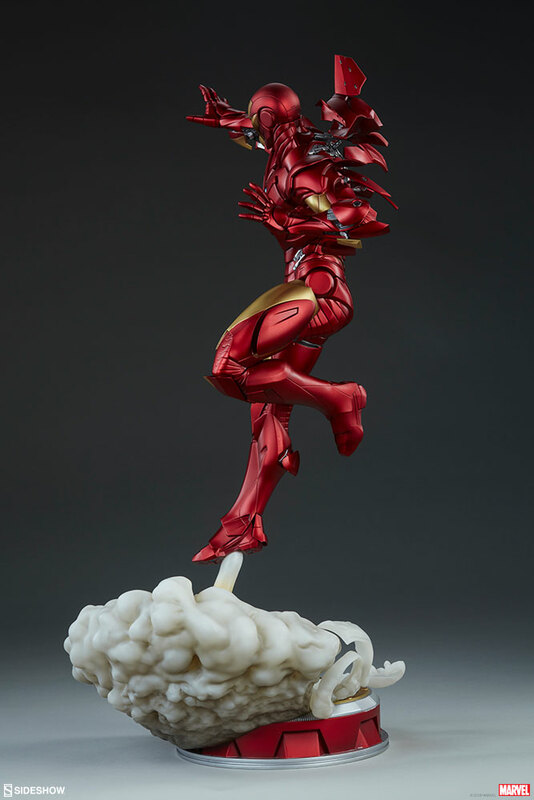 Tutti gli oggetti presentati in questa pagina: – Sideshow – Soulfire Grace & Aquaman Premium Format Figures – sono disponibili per ordini o preordini presso la Fumetteria Inchiostro & Tempera di Napoli. 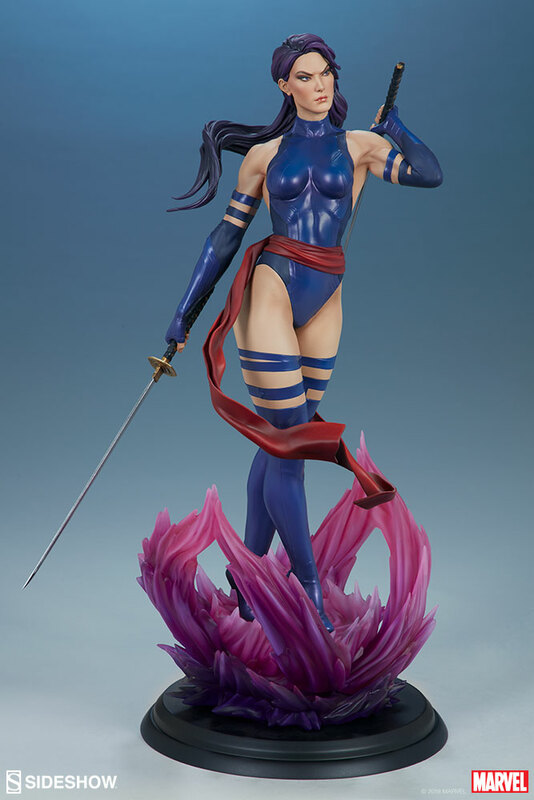 Sideshow is proud to present the X-Men Psylocke Premium Format™ Figure, standing 55 cm tall on top of a psionic energy base inspired by her famous pink and purple butterfly aura. 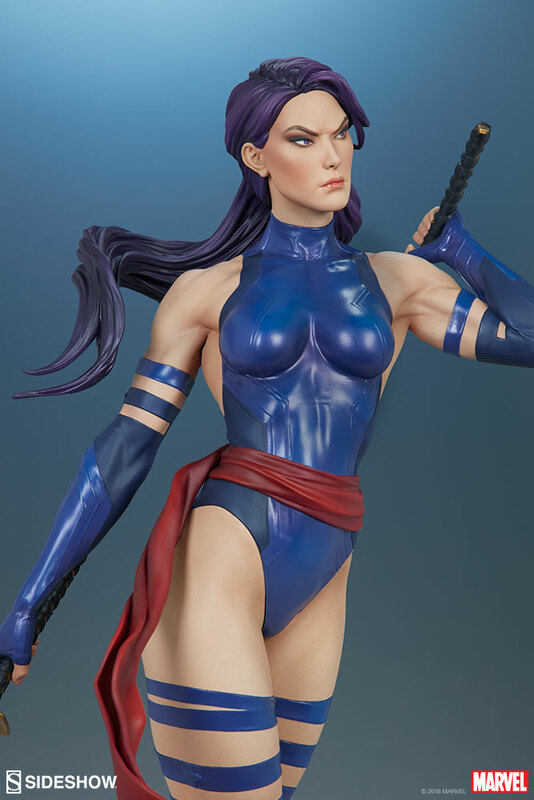 The polyresin Psylocke Premium Format™ Figure features an all-sculpt costume based on her beloved 90’s look with a blue bodysuit, arm guards, and boots, as well as a dynamically sculpted red waist sash. 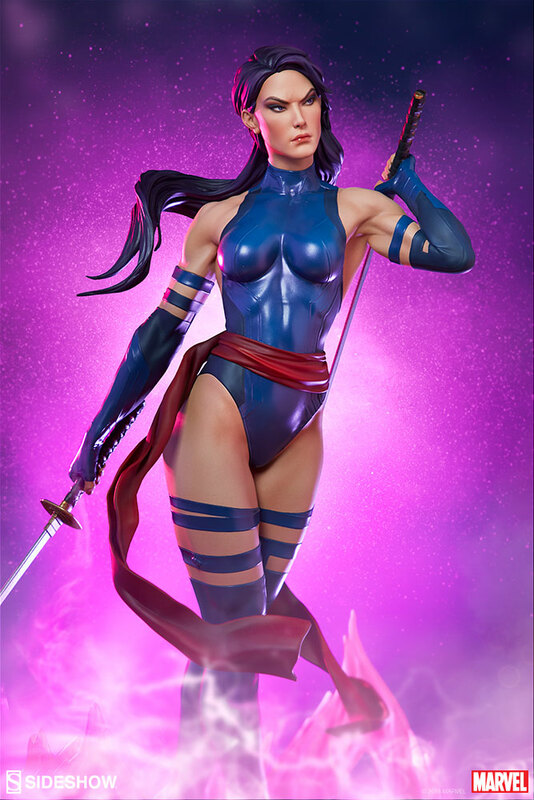 Psylocke’s beautifully sculpted portrait is detailed flowing purple hair and piercing purple eyes, capturing her focus as she holds her dual katanas at the ready. 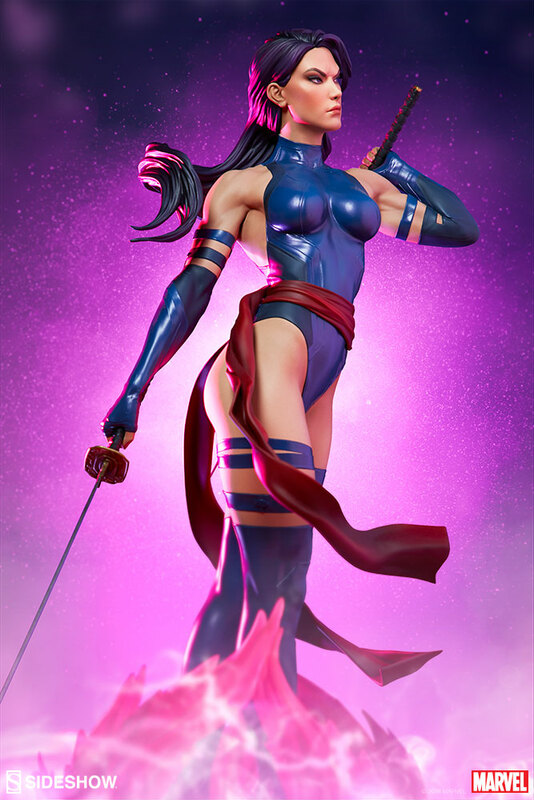 Tutti gli oggetti presentati in questa pagina: – Sideshow – Premium Format Figure Psylocke – sono disponibili per ordini o preordini presso la Fumetteria Inchiostro & Tempera di Napoli. In arrivo a Luglio 2019 Gli oggetti sono preordinabili a partire da oggi seguendo il link che trovate qui sotto che vi porterà sul nostro sito ufficiale. 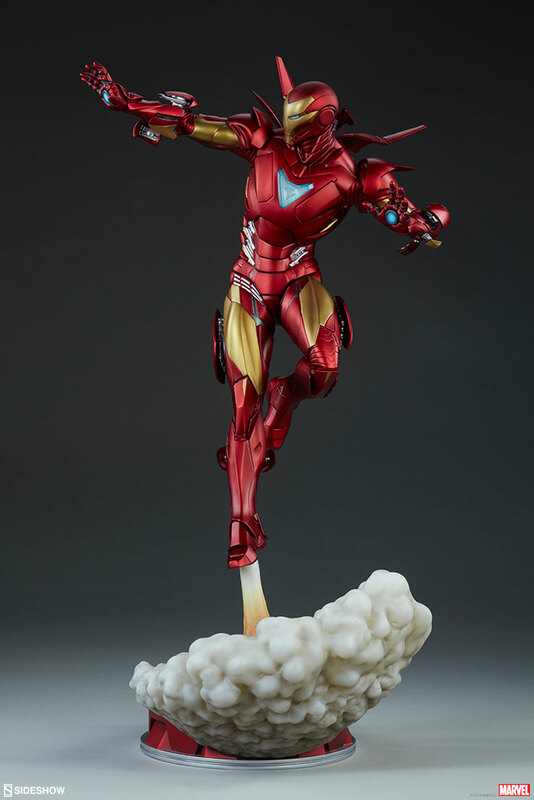 Based on the artwork of acclaimed comic book artist Adi Granov, the Iron Man Extremis Mark II Statue is the next evolution in Tony Stark’s iconic technology. 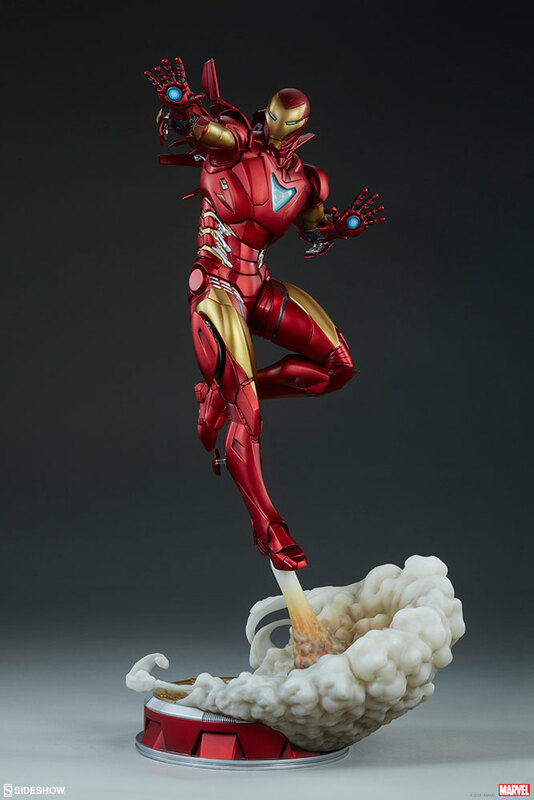 This 1:5 scale statue measures 21.5” tall as Iron Man jets above a Stark Industries tech-inspired base, kicking up a cloud of exhaust. 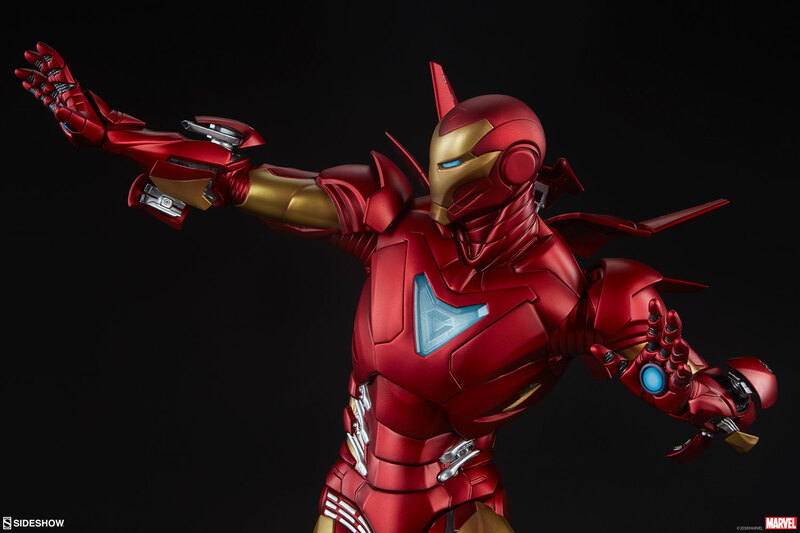 The Iron Man Extremis Mark II Statue is an original armor design inspired by Adi Granov’s work on the popular Iron Man: Extremis story that revolutionized the status quo for Marvel’s Golden Avenger. 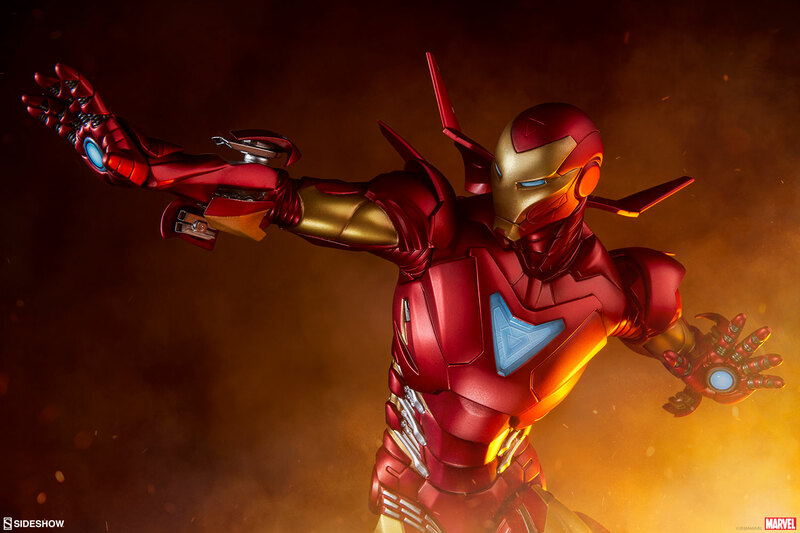 Detailed in red and gold matte metallic paint, the polystone Extremis Mark II suit has been intricately sculpted with complex armor paneling and mechanical accents. 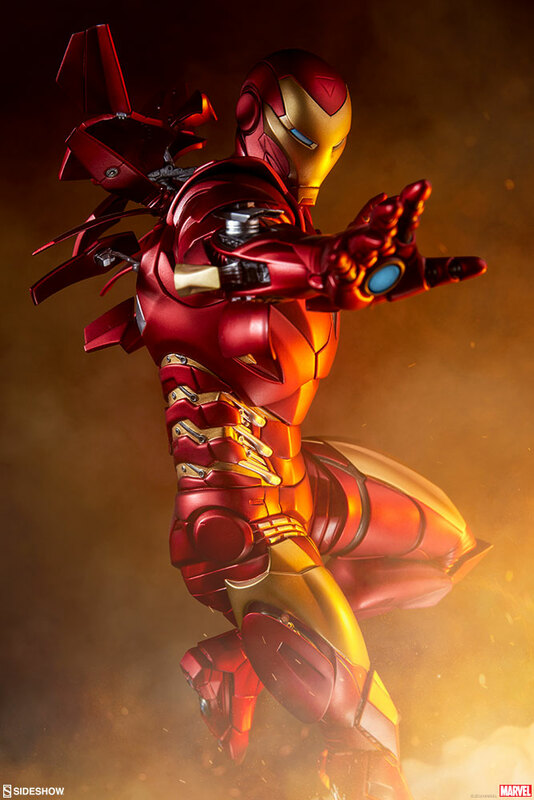 Showcasing the height of Tony Stark’s innovation, Iron Man’s dynamic action pose reveals hidden tech with silver detailing throughout the sleek and stylish suit. 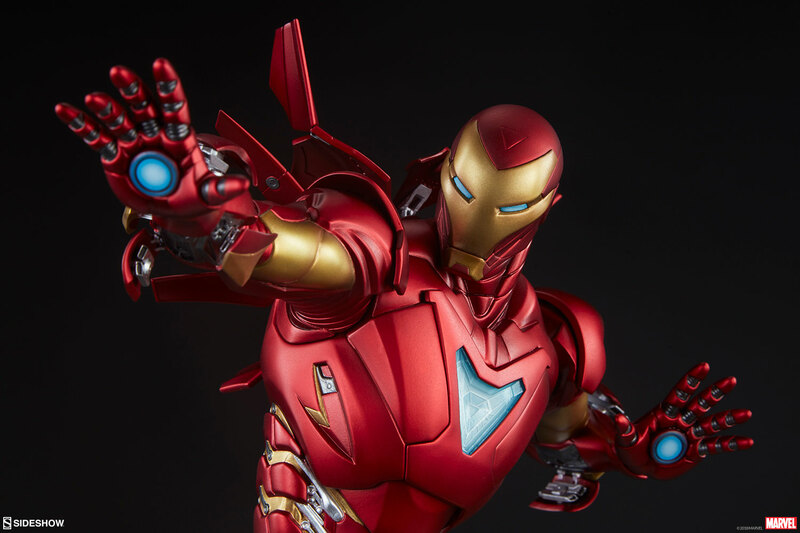 The Iron Man Extremis Mark II Statue also features a triangular arc reactor embedded in the chest of the armor, with blue repulsor beams ready to fire at any foe. 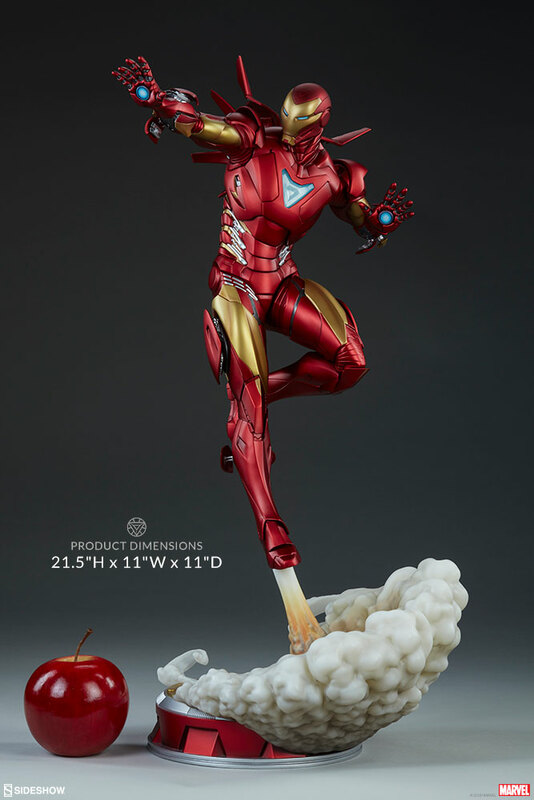 Tutti gli oggetti presentati in questa pagina: – Sideshow – Iron Man Extremis Mark II Statue – sono disponibili per ordini o preordini presso la Fumetteria Inchiostro & Tempera di Napoli.